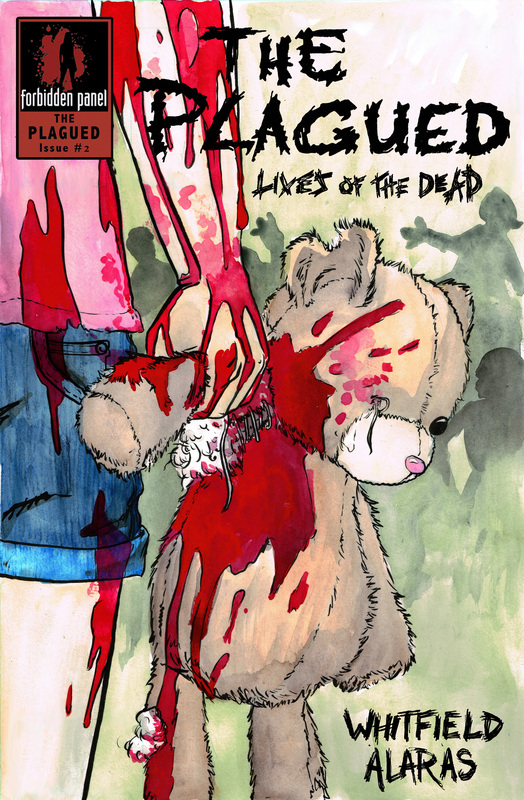 The second issue of The Plagued is now available! When an airborne virus consumes the planet turning a tenth of the human population into flesh devouring monsters, life as everyone had known it was over. Family members turned on each other. People killed themselves in masses, and the world fell to the sick and the dead. Watch the infection spread as the world falls apart following the dead in Lives of the Dead. 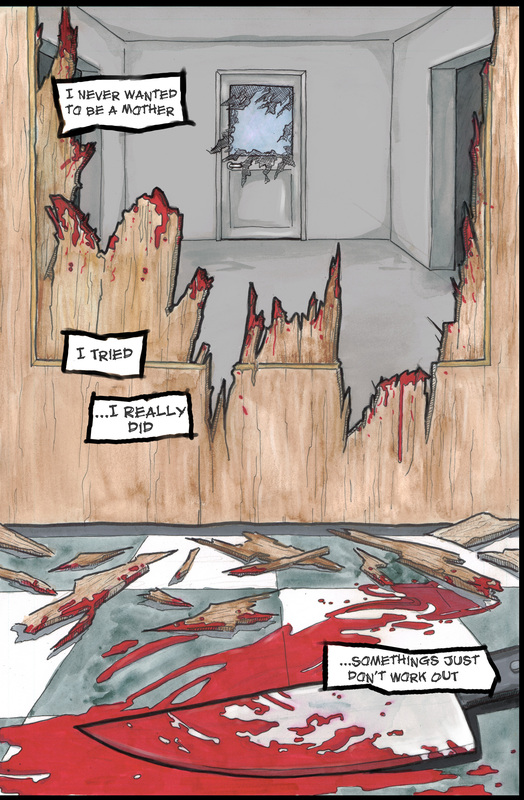 Click below for a sneak peek of The Plagued #2 and details on how to get your copy. 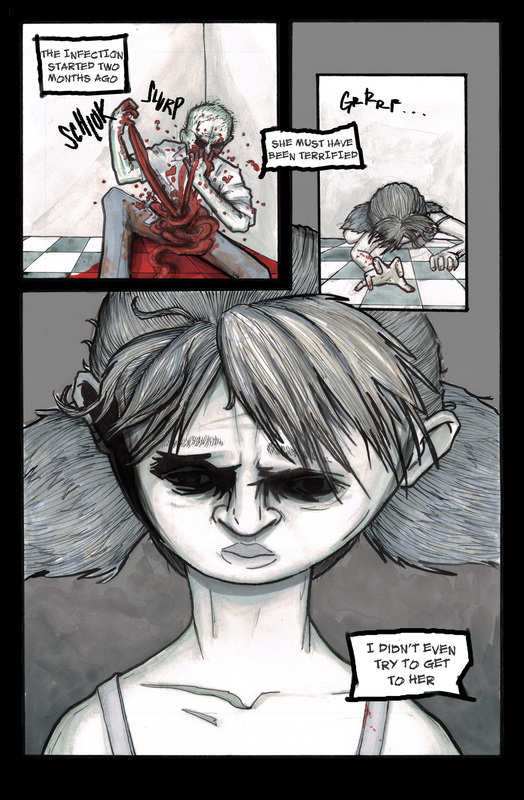 Issue #2 is the story of a mother, survivor of the plague, going home to find the daughter left in the father’s care. But when she arrives, she is surprised by how her family has changed. The consequences of the decisions we make and how the plagued affect the world are explored in this new chapter from creator and writer, Daniel Whitfield with cover and lettering by Camille Alaras. Check out a couple pages from the new issue below. You can pick up your copy (and get it signed) at WonderCon 2013. More copies will be available after the convention in the Forbidden Panel Online Store. Follow The Plagued on Facebook and while you’re there “Like” the Forbidden Panel page too! Visit our WonderCon 2013 page for details on signings for The Plagued and other great events taking place at the Forbidden Panel Booth #1010 , March 29-31, 2013.